Okay..... 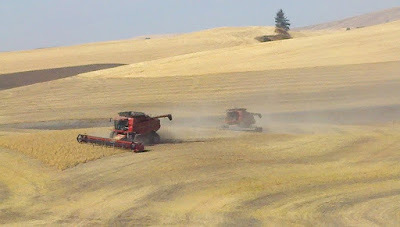 I couldn't help myself and had to show off the pictures & videos that Cody, our hired man took on the last day of the Anderson Farm garbanzo harvest so one more last look at garbanzo harvest of 2011. Plus today is designated "A Day in American Agriculture"
As it is important to connect with the consumer and share what we do, I had to post more pic/videos as Cody has some great footage. Plus take a look at what the old days of farming looked like back when Farmer Joe's grandpa, uncle and his dad farmed. 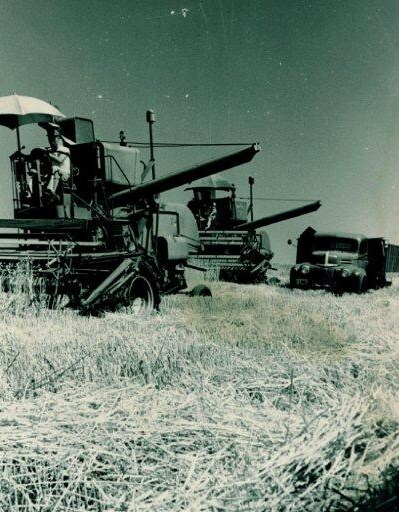 I was excited to come across some great family photos. 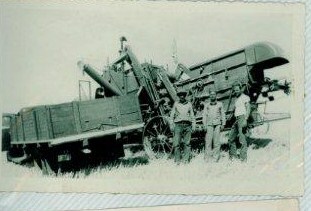 Back in the old days it took more man power to get harvest completed, smaller trucks and combines. Today we are taking the trucks down to the Tammany Farm so we can begin preparations to the fields to begin our Fall seeding of winter wheat; we are taking our land rent checks to our landlords. 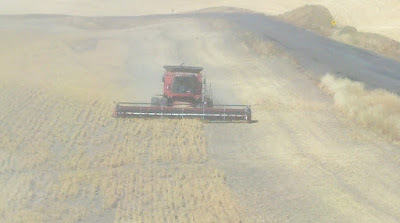 Pictured below is a small stubble fire that started when a bearing went out on a piece of equipment that breaks up the wheat stubble (by breaking up the stubble, it helps it decompose better). Good thing Cody is a volunteer fireman, as he and neighbors had to put out the fire. 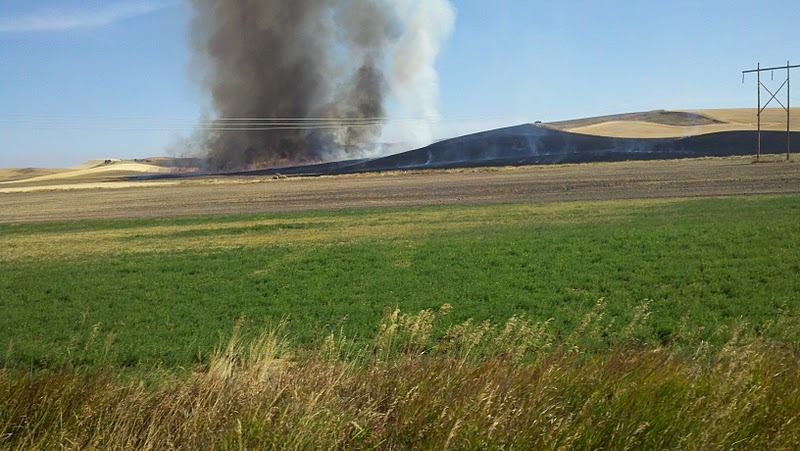 It only burned about 10 acres and thankfully no one was hurt or no equipment was burned up. 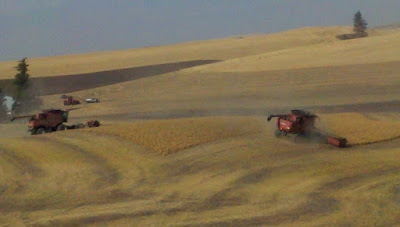 Another interesting and informative farm post! Congrats on the award...I'd say you definitely deserve it!